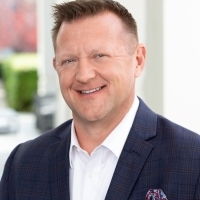 Jim Johnson is SVP of Technology Staffing Services for Robert Half, which includes The Creative Group, Robert Half Legal, and Robert Half Technology. In this role, Jim travels North America conducting training on best practices in the IT staffing sector, identifying trends in technology and hiring, and attending and speaking at national events, including HDI and Microsoft Ignite. With more than 20 years of staffing industry experience, Jim joined Robert Half Technology as an account executive in 1999, moving up the ranks from division director to branch manager, then director of strategic accounts. In 2014, Jim was promoted from field business consultant to vice president, and was promoted to senior vice president in December 2017.